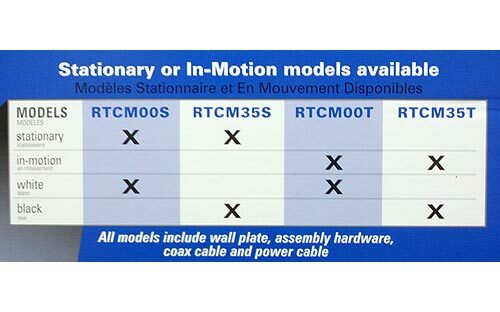 Sorry, the RTCM00T is discontinued. 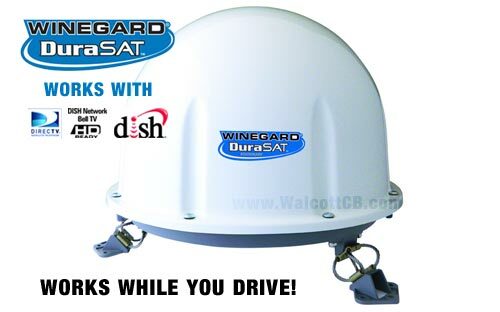 Winegard Durasat RTCM00T In-Motion Automatic Satellite Antenna for Truckers. 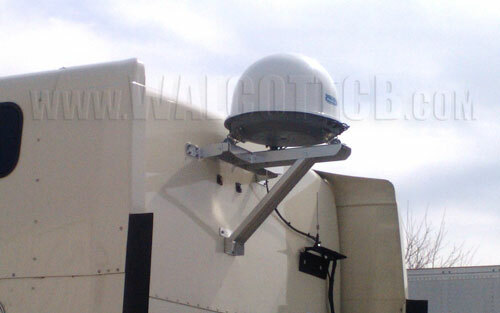 This antenna is designed to be used while you are driving down the road. 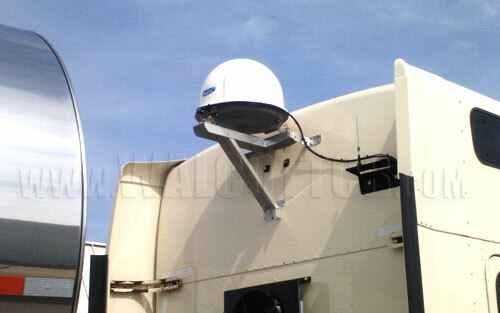 This antenna is completely automatic, no matter if you are moving or stopped. Perfect for team drivers! 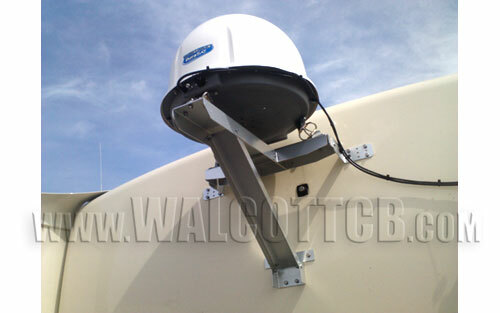 The Winegard brand of satellite antennas has proven itself to be unbeatable in terms of durability and performance. 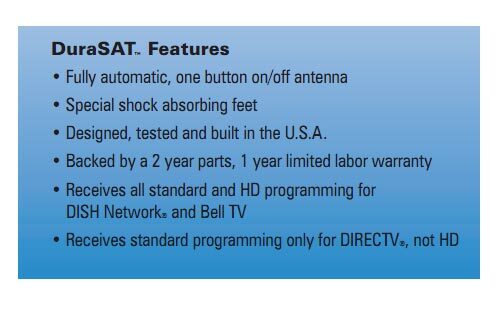 The Durasat line in particular is made specifically to withstand the rigors of the road -- extra durable construction with additional shock absorbing feet -- these antennas are made to last millions of miles. Built Tough for Trucks. 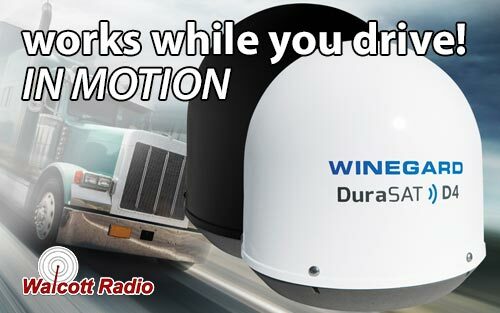 The Winegard Durasat antennas have a dedicated 12-volt power cord which allows the motor to move very fast. From our hands-on usage here at Walcott CB, we found the signal acquisition time took roughly 2-3 minutes on every test we performed. 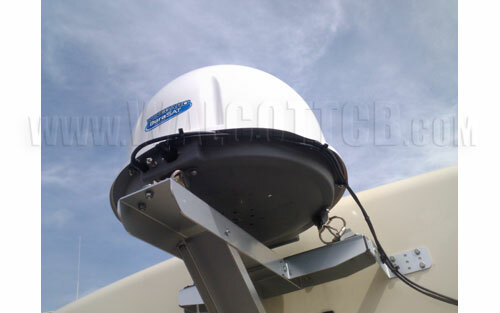 Significantly faster than the VuQube line of antennas which took an average of 5-6 minutes. 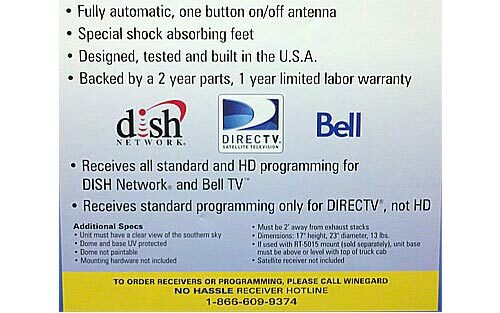 This isn't a big surprise though, as the VuQube antennas do not have a dedicated power cord, where the Winegard line does. 100% Automatic! 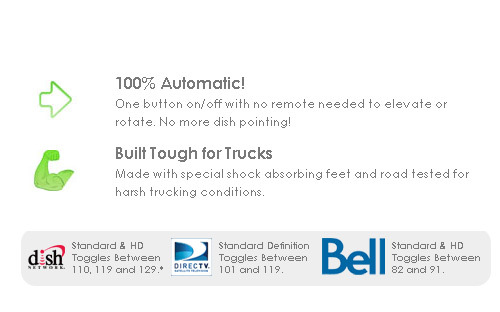 One button on/off with no remote needed to elevate or rotate. No more dish pointing! Here's how you get this antenna to work: Step 1. plug it in. That's it! You don't have to enter zipcodes, use remote controls, change azimuth settings, nada. It's as easy as it gets. 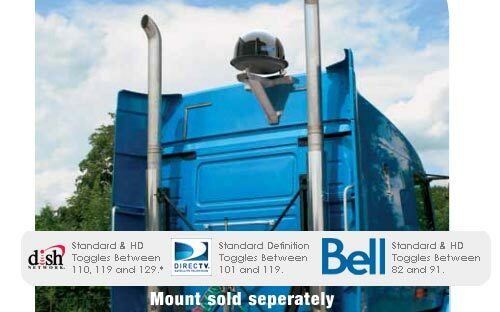 If you want to watch high quality satellite TV in your semi, this is your ticket to doing so. 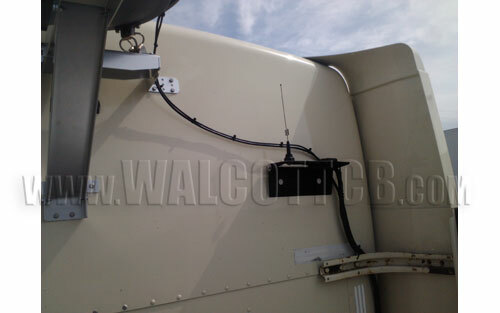 Never get out of your truck to make adjustments to the antenna again.